This special offers section has a number of time limited offers, incentive team building ideas and discounted activity combinations we have in Krakow. When you see an offer you like, click “Add to basket” to include it in your Krakow Jamboree. 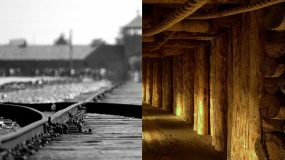 An amazing combination day trip to Auschwitz Nazi concentration camp and the Wieliczka salt mine. Inspire the bachelorette party with a hunky male either to serving drinks or putting on a show.